So after a stressful day at work and a stressful weekend i am finding solace and happiness in the small things, like watching my surf dvds, painting my new skateboard design and hanging out with my younger brother. So when i got in from work i decided to dress in something a little bit more summery, it was absolutely freezing outside but inside the heating was on, i was trying to rock the up do and drawing crystals. I am hoping to get a little zine together, to go in the shop so fingers cross i can get this little project completed(i am absolutely awful at starting projects, sketchbooks and work without completing it) I’m working on a few new skateboard designs for a friends collection, the photos above are of a few old designs I did in 2009 i think. I don’t think I have spoken much on my blog about my passion for detailed graphic/drawings I do as a little bit of a side project, so I thought i would introduce you all to one of my guilty pleasures…i am obsessed with drawing mexican skulls on wood, there are worst and i am sure weirder obsessions. It was actually blue monday today and i think i was really feeling it, my stress levels are really being tested at the moment (not at work i love work) just how i am processing things at the moment. I think to move on with a few things I want. I am actually seeking help with my nerves and stress which makes a change for me, i normally just fight through…thinking that there is nothing wrong and i am ok, but I have finally decided to be able gain more confidence within myself i need to do this for me. Oh and with a few self help books, i am getting there. I think in my head I am limiting myself when there is so much out there for me yet to achieve I talk myself out of it constantly so I really need to push myself..so here is to a new more productive, happy and less stressed me. Next Post Scout willis closet interview. You look1 lovely! You really suit a bun Ella! i know how you feel. with one hundred diff things going on its hard to keep track. keep going. sounds like your really achieving your dreams. love it. plus love that belt. The zine sounds fab! 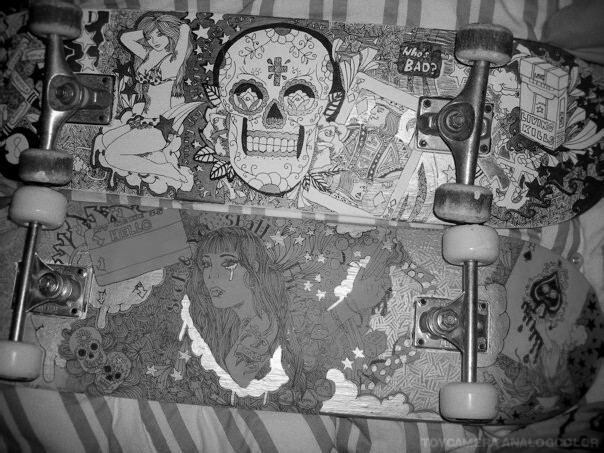 I love your delicate and oh so detailed drawings on the skateboards! Super rad! It's been so cold here too, wishing the weather would brighten up so it's warm enough to head to the beach & enjoy a walk & an ice cream! I've found self help books for anxiety or stress can be pretty helpful once you get into them, so I hope they work for you 🙂 I also found talking to someone who isn't super close about things just helps you break free of anything that's particularly stressful. 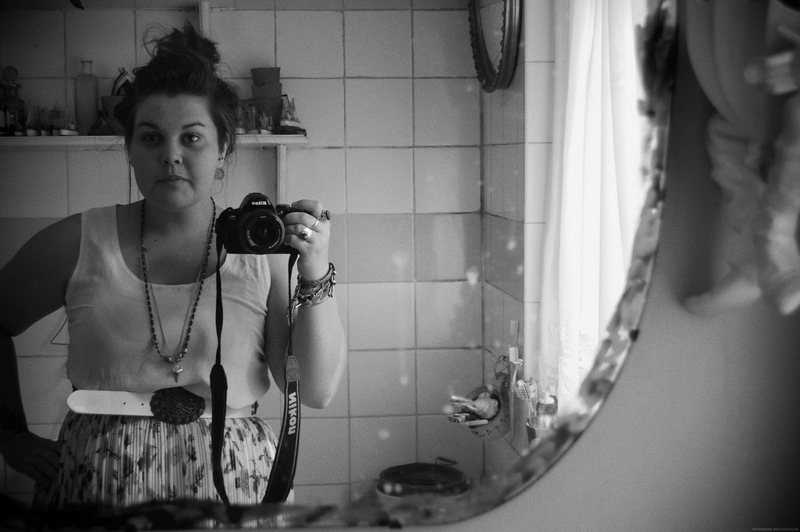 Your blog is really happy & inspiring & just super lovely so I'm sure you'll have a grand 2012! You look beautiful in your images too, such a pretty dress. I have a few projects but the thought of creating one, getting it all done and then it not working out scares me. I just need to throw myself in it I think! Gorgeous skateboard designs! Also good for you for getting stress help, last year I had some sessions for helping anxiety and dyspraxia etc and they really settled me down. Being stressed is not fun and so unnecessary when you really think about it! Anyway, you're great and keep up the good work! i think people sometimes feel embarrassed to get help or to help themselves, and it's nice to see someone open and honest about their anxiety and seeking help. puts a positive face on something that so many people experience. i have been considering seeing someone about my round the clock nervousness as well.